At the new concert, within the “Premiere ” cycle, of the RTS Symphony Orchestra, the composition “Lonesome Skyscraper” by Ivana Ognjanovic will be premiered. It was composed by the author for symphony orchestra and electronics, inspired by the unusual theme from a city life. 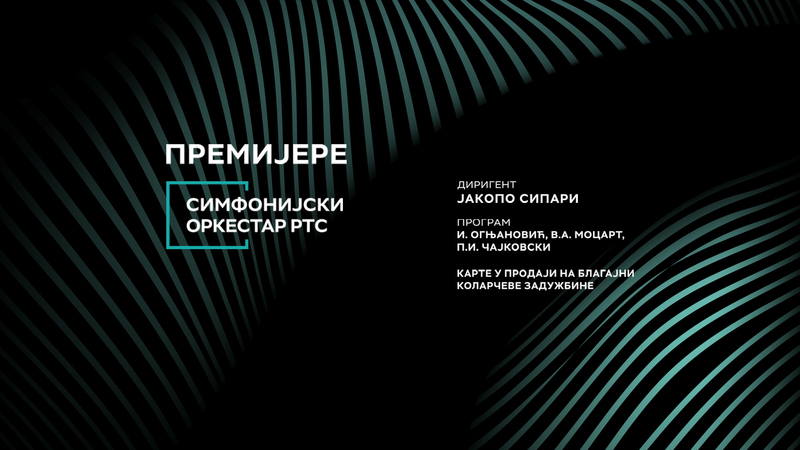 On 9 February, at 20:00, in the Concert Hall of Kolarac Endowment, a great young artist, Vojislav Dukic, will perform as a soloist in one of the most prominent concerts for clarinet – ” Clarinet Concerto in A major” by Wolfgang Amadeus Mozart. Besides these two works, “Symphony No. 3 “by Pyotr Ilyich Tchaikovsky, which indicated with its character, in a specific way the music of the famous ballet “Swan Lake “. The RTS Symphony Orchestra will be conducted by a guest from Italy, Jacopo Sipari. Tickets on sale at the box office of Kolarac Endowment.